The Energy Transition Lab has been selected to lead a market study that evaluates the potential for a tariff on-bill (TOB) financing program to expand residential energy efficiency investments. Working with the Institute for Local Self-Reliance (ILSR), the City of Minneapolis, Cadmus Consulting, and several local utility companies, ETL will examine the feasibility for TOB programs in a cold climate with multiple fuel sources and service providers. TOB programs, such as Pay As You Save® (PAYS®), use cost recovery from the energy savings for an efficiency upgrade investment that is tied to the property’s meter rather than the property owner. The primary benefit is that a tariff remains in place regardless of a change in occupancy. New occupants, or ratepayers, are obligated to pay tariffed charges until utility cost recovery is complete. However, TOB programs are designed to ensure immediate net savings for customers. Because of this, TOB programs can invest in upgrades to rental properties, and upgrades can be made at any site regardless of the occupant’s income or credit score. Further, TOB programs make these investments more attractive to occupants, who can pass on the financial responsibilities to a new occupant if they move before cost recovery is complete. Should efficiency upgrades fail to function as expected, program implementers will fix or replace equipment at their own cost. Convening Stakeholders:provide a forum for key stakeholders to discuss program design parameters and address issues related to a tariffed program. Developing Screening Tool: create a tool that evaluates the cost-effectiveness of various energy efficiency/clean energy measures of interest, AND the variety of measures that may be packaged for financing through a TOB mechanism. Benchmarking: conduct a study to estimate the scale and cost of a TOB program implementation in Minnesota. Utility & Ratepayer Impact Assessment: measure how a TOB program will affect utilities and non-participating ratepayers. Assess Consumer Protection: Identify and evaluate program design issues facing a TOB financing program. Issue Final Report: document the purpose, methodology, and complete results. 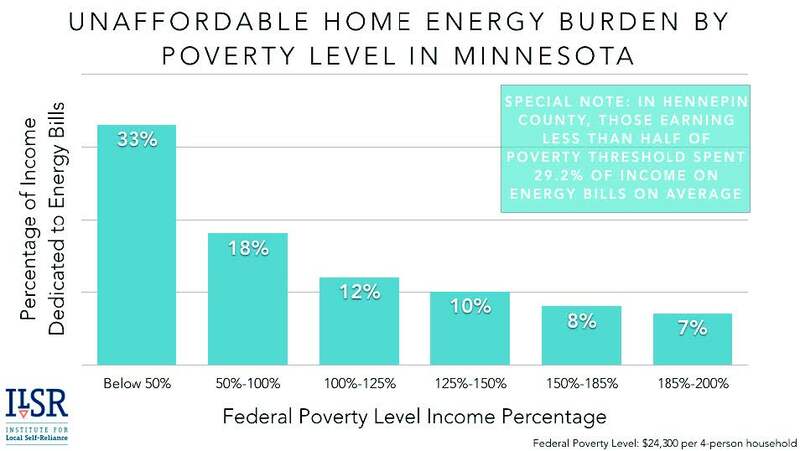 Where geography is a relevant factor, this analysis will be conducted at varying geographic levels, including a statewide analysis, a City of Minneapolis analysis, and up to five unique utility jurisdictions within the state. 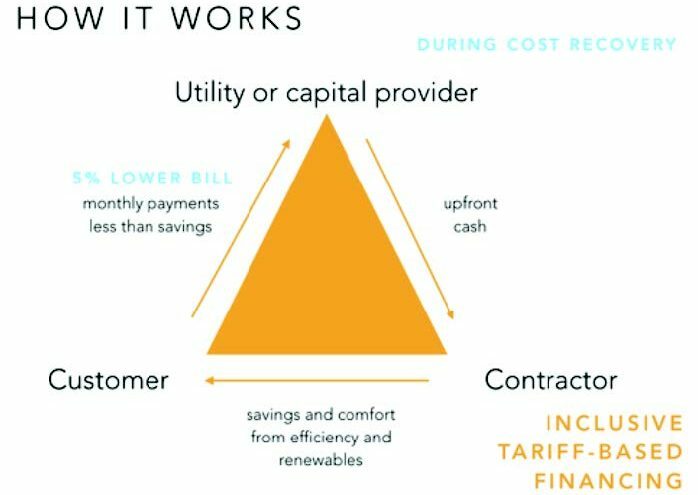 For more background information on this, see the Institute for Local Self-Reliance’s Report: Inclusive Financing for Efficiency and Renewable Energy.